All of my posts to date have discussed how best to find happiness in this life. 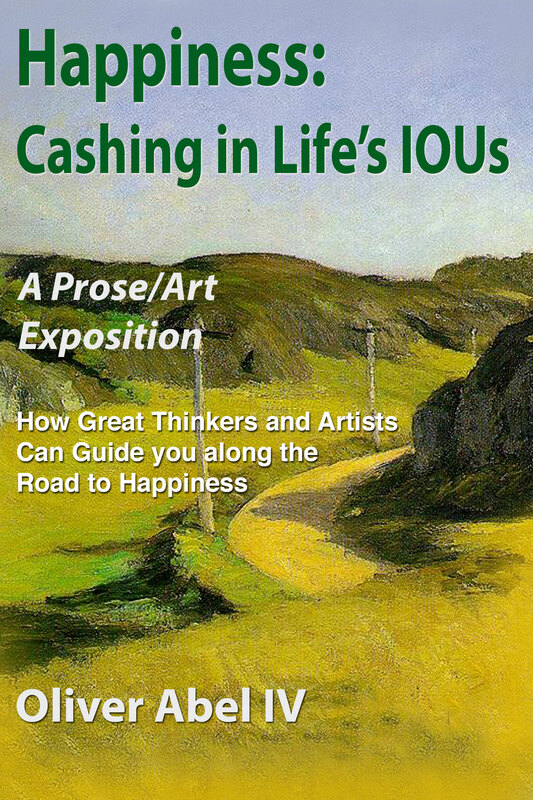 In fact, the exposition in my book is explicit in bringing together the works of the masters of the fine arts with the teachings of three modern thinkers and four ancient thinkers without mention of happiness in the next life. One of those ancient thinkers is a religious figure, St. Aquinas, but I have used his teachings purely on a philosophical basis, not relying on his theological (faith-based) teachings for the exposition. Since I have discussed the three major non-Western religions and their approaches to happiness in this life, I would like to turn to a discussion of Christianity, the predominate religion in the West, and its road to happiness. But, I think that it is important to discuss Christian teachings regarding happiness in this life as well as the next life because they are so closely linked. But, I will discuss both happinesses without relying on the Bible. Instead, I will refer back to St. Aquinas, but this time I will use his theological teachings, as well as his philosophical teachings that I have been using so far. This entry was posted in Uncategorized and tagged happiness in next life, st. aquinas, twofold happiness on September 8, 2014 by oliver.